Major progress was made on building our first two homes in the Polytechnic neighborhood of Fort Worth. The first home is expected to be “in the dry” by December 10th and the second home will follow in next 3-4 weeks. Homes will be sold to low-income first-time homebuyers who will also receive down payment assistance. For more information on housing projects through Cornerstone Assistance Network, visit our website. 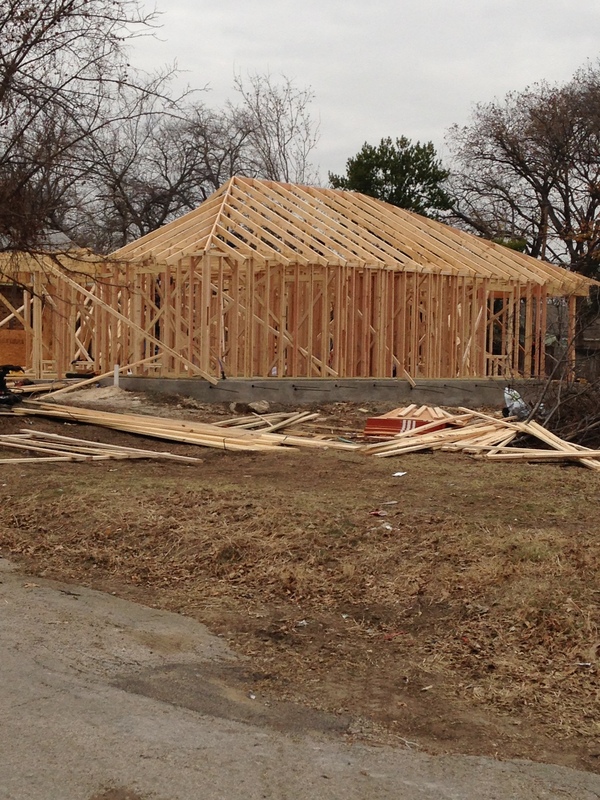 Cornerstone has made progress on the construction of the house in the Polytechnic neighborhood of Fort Worth.